Seven years ago Google launched Google+. After millions of dollars of investment, Google abandoned the effort to take on Facebook. Google failure that are applicable to any startup. 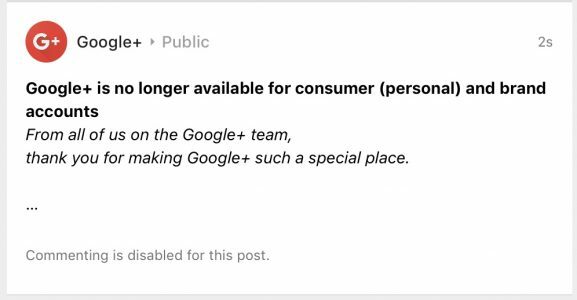 Primary reason Google+ failed was that Facebook was already so dominant that the psychological switching costs of moving to the new platform were too high. We didn’t need a new social network because the one we had worked just fine. We don’t need another Twitter. We don’t need another LinkedIn. And we didn’t need another Facebook. There was no “must-have” idea there. To take on Facebook, Google had to have some meaningful intellectual property that it could protect, some whiz-bang idea that would draw the masses. For G+ to make it, they had to convert the cool kids. Somehow, they would need to create a movement among the digital natives that would lead people to an emotional connection to the new platform. Years later, this is exactly how Snapchat moved young users away from Facebook. Google did a terrible job marketing G+. Their worldview was completely arrogant (a trait they also displayed with the Google Glass debacle). The primary lesson is, Google+ had no customer-centered marketing strategy. They kept adding bland features, re-organizing, and changing leaders at the top when they should have put an emphasis on developing a meaningful brand that developed an emotional bond with its users.